Thysis Group has over ten years’ experience with our Building Products division being one of the market leaders in manufacturing and supplying a wide range of pitched roof ventilation products to the UK distribution and contractor sectors. 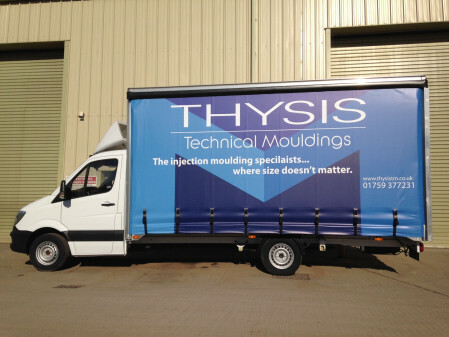 Over the years we have expanded to launch two complimentary divisions – Thysis Technical Mouldings and Thysis Extrusions. Within these, we have the capability and capacity to produce large volumes of a wide range of competitively priced thermoplastic and thermoformed products for the automotive, building construction and other market sectors. We are also experts in extrusions for many applications. For over ten years, Thysis Building Products has been one of the market leaders in manufacturing and supplying a wide range of pitched roof ventilation products to the UK roofing distribution and contractor sectors. Operating from our 35,000 sqft manufacturing plant in York, our extensive industry knowledge combined with over 35 years of manufacturing experience means we can confidently provide UK roofers and distributors with the ventilation product to fit your needs. And – understanding time is money – all our products have been designed with the roofing professional in mind making them quick, easy to fit, competitively priced and all without compromising quality or building regulations. Most importantly, they’re all readily and easily available. Thysis Technical Mouldings operates from our two manufacturing plants based at York and Darlington boasting an impressive combined footprint of 60,000 sqft. Across both sites we house 20 injection moulding machines ranging from 22T to 820T. We have comprehensive capabilities combined with extensive capacity to produce large volumes of a wide range thermoplastic and thermoformed products. Our products are of very high quality and competitively priced. We supply our range to sectors including automotive, building construction and many more. We pride ourselves on our work and offer bespoke solutions for mould tool design, technical support and product trials. Customer satisfaction for quality, value and delivery performance is always our highest priority and our team’s commitment is integral to our IS0:9001:2015 Quality Management Systems.